Tagxedo is a web-based tool that creates Word Clouds using various shapes. Text size is determined by frequency. In the examples below, some names are larger because more students share the same name. It is very easy to use. Simply paste your text into the load window. Switch to the Shapes tool to choose an outline. Experiment with the themes, font, orientation, and layout settings until satisfied. The dove image is available in the shapes gallery. Other images were uploaded. The main requirement for your own custom image is a black and white silhouette. Tagxedo is just one word cloud generator. Wordle is probably the most well known, while ABCya Word Cloud tool is prefect for grades K-3 because of its simple features. Word clouds are a great language visualization and summarizing tool for the classroom. 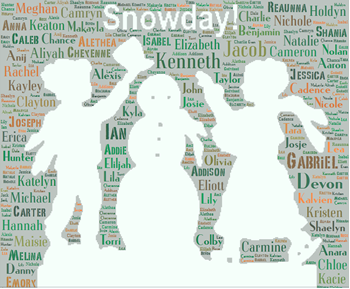 Although the images featured on our site just use student names, using text from book summaries, student writing, or news stories are just a few ways to use a word cloud. Tag Clouds are perfect for teacher website home pages. 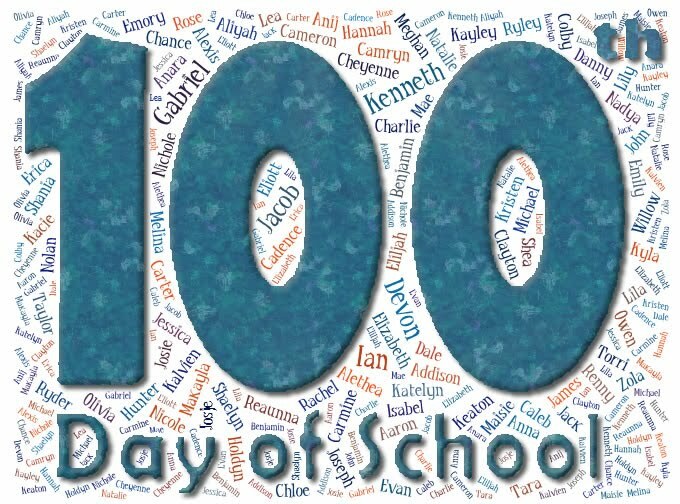 For ideas on how to use in the classroom, check out the slideshow: 50 Ways to Use Wordle* in the Classroom (*or Tagxedo, ABCya ). Click to view the interactive version so you can find your name! Click the image to find your name in the interactive version!